Every morning I start my day with a purpose. I have a list of goals that I need to achieve/ finish as well as a list of goals that I would like to tackle for the day and try to get done. My first goal is to start my day off with a healthy meal. If you follow me on Instagram you know I love my Acai Bowls, they are packed with nutritional ingredients and kick start my metabolism for the day, I also love to juice and on the weekend you will find me indulging in some homemade Belgian waffles… Sweets are my guilty pleasure but I also make it a goal to work out at least 4- 5 times a week so I can indulge in all the sweet deliciousness. After breakfast, I like to get prepared for the day and before I walk out the door I like to look and feel my very best. In order to do that, I apply a healthy makeup application that’s flawless and perfect for the day. 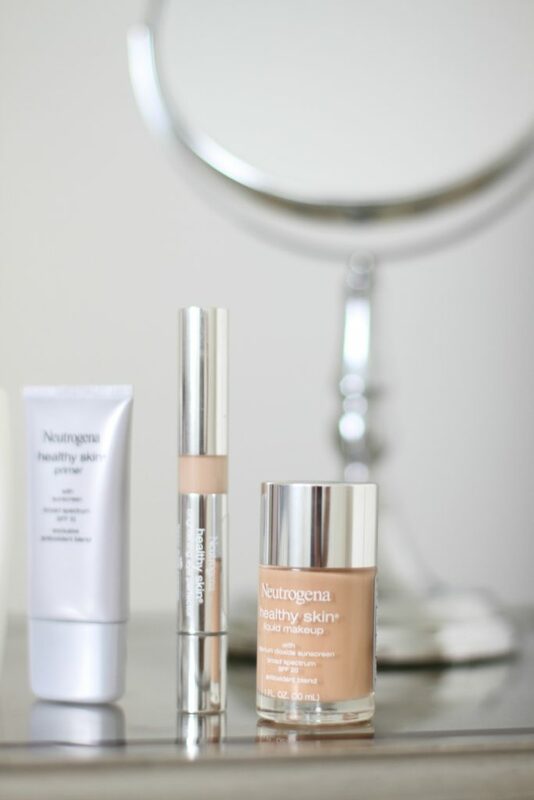 I normally start off with Neutrogena Healthy Skin Liquid Foundation it has amazing antioxidants and vitamins that help heal my skin from the moment I apply it. To get a step by step process of my makeup routine follow these steps below. Step 1. Cleanse face with a gentle cleanser and tone skin. Shortly after that moisturize your skin so that it’s hydrated and ready for a flawless makeup application. 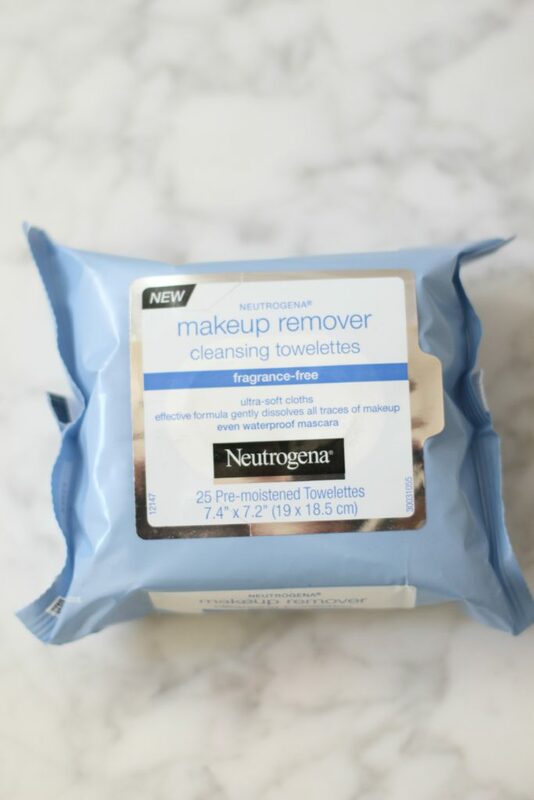 I love cleansing my skin in the morning with Neutrogena Cleansing Towelettes they really help clean my skin with no heavy residue, so there’s no need to rinse just wipe & then tone and moisturize. Step 2. 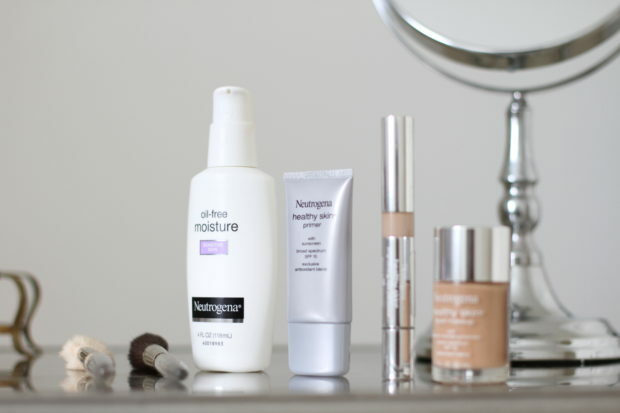 Prime face, priming your face is essential. Primer helps smooth fine lines and minor imperfections in the face and helps foundation, blush, and eye shadow go on smoother. You can use Neutrogena’s Healthy Skin Primer. Step 4. 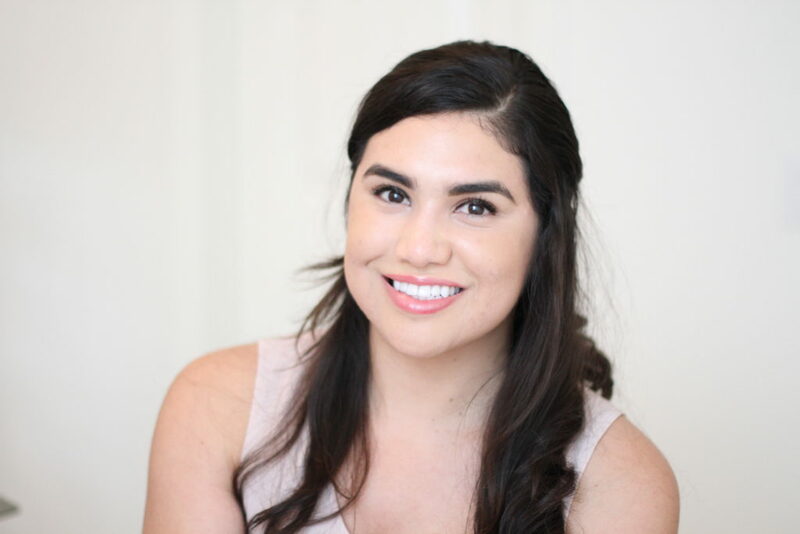 Now that your skin is cleansed, primed, and concealed you’re ready for your flawless foundation. I like to apply Neutrogena’s Healthy Skin Liquid Foundation in shade 50. 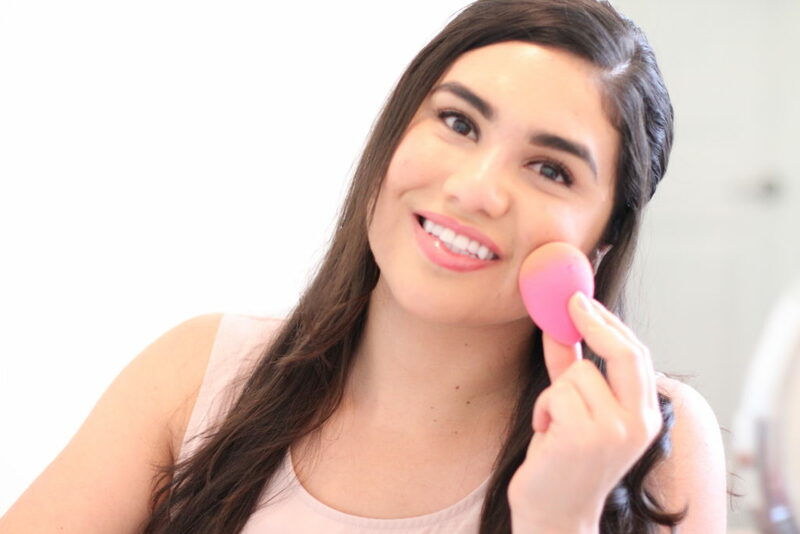 I use a damp beauty blender to get an even application all over my skin. Now you can also get the same flawless foundation and get your foundation matched with Neutrogena’s Shade Finder Quiz. When you take the quiz you can get $2.00 off your next Neutrogena purchase. This post is sponsored by Neutrogena all opions and comments are my own.